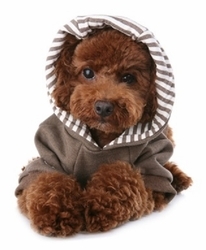 You can't help saying "awwwww" when you see your pooch wearing the Puppy Angel Just For You Hoodie. 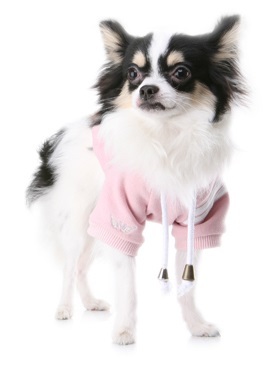 Perfect for inside, outside, night or day this hoodie from designer dog brand Puppy Angel is simply divine. This sporty Puppy Angel Just for You Hoodie is a fantastic every day outfit for active dogs. 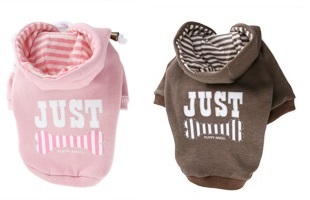 Made from quality cotton the bone applique and hood lining are made from striped cotton while one shoulder shows duo white stripes! 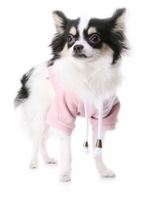 The hood has authentic strings and the JUST lettering on the back is very preppy! Made from 100% Cotton. Washable at 30 degrees.